One of the top crystal cufflinks on the market today. 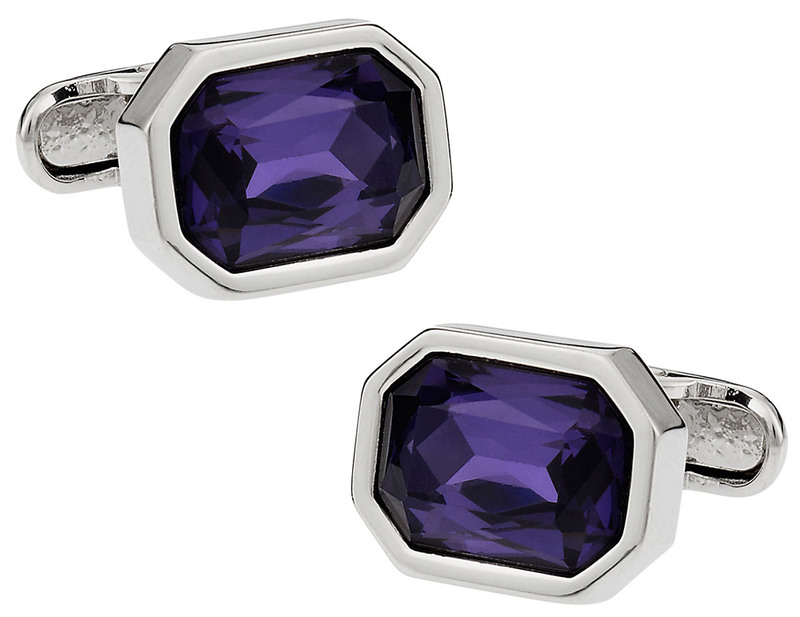 Amethyst crystal is skillfully set in a rhodium silver cufflink setting, making these a maintenance free pair to last a lifetime. 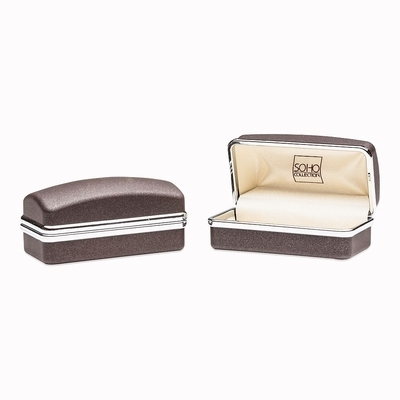 Not too large, you'll never be mistaken for Elton John, instead you'll be seen as a person of style. Designed for Cuff-Daddy by Michael Soho, these cufflinks have SOHO engraved on the whale backs. Arrives in protective chocolate brown box making them the perfect present. We carry these in two other colors. These violent cufflinks are great for anybody who wants people to notice them, because it is impossible for people to ignore them.